We’re delighted to once again offer our guests the chance to explore West Africa via its network of rivers, by embarking on a memorable cruise aboard the beautiful Harmony V Mega Yacht, complete with a range of optional excursions. 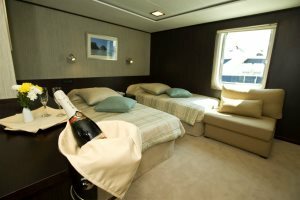 Taking place throughout January and February 2020 and departing Mondays from the capital, Banjul, guests can choose to enjoy a 4- night cruise aboard this beautifully elegant, fully equipped modern yacht. With contemporary, light guest rooms, a sundeck, a classy dining room and lounge bar among some of the boat’s facilities, you’ll enjoy luxury and comfort during your exploration of The Gambia. Discover its unique history, culture and wildlife and witness scenes of local life as you cruise its waterways. 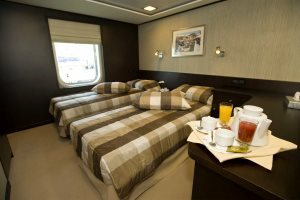 With an English-speaking cruise director and a maximum of 49 guests, this is an opportunity to experience unique cruising in an intimate environment. Day 1: Embark the yacht at 4pm and set sail upriver to Tendaba, where you’ll dock overnight. Day 2: Your first full day offers two optional excursions, one on foot to explore Tendaba and Kiang West National Park along with its wildlife, the other to discover Baobolong Reserve aboard motorised pirogues. Day 3: In the morning, set sail along the River Gambia to reach Kuntaur, a bustling Gambian port. During the afternoon, you can embark on an optional river excursion which passes Baboon Islands in the River Gambia National Park to witness the amazing resident chimps in their natural habitat, alongside other wildlife such as hippos, crocodiles, birdlife and monkeys. You’ll also get the chance to meet the local dance group, ‘Kankurang’. Stay overnight in Kuntaur. Day 4: With the yacht staying in Kuntaur, you can choose to enjoy an excursion to Janjanbureh, one of The Gambia’s oldest towns, afterwards visiting the school of Lamin Koto. You’ll also get the opportunity to visit the stone circles in Wassu, a registered UNESCO World Heritage Site believed to be an ancient burial ground. After lunch, the yacht will sail down to the small fishing village of Kaur, which you’ll be able to explore before leaving for Kunta Kinteh (St James) Island. Your final night includes a Captain’s farewell dinner. Day 5: After anchoring at Kunte Kinteh Island in the middle of the River Gambia, you’ll get the chance to learn much about its discovery in 1455, alongside its slave trading history. Embark on an optional walking tour with a knowledgeable local guide, before exploring for a while on your own. After lunch, you’ll head back to Banjul, where your cruise comes to an end and you’ll disembark the Harmony V Mega Yacht. A 7-night cruise option is also available. Find out more here. 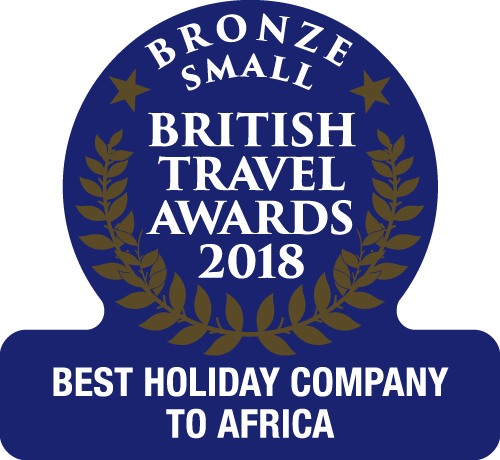 This cruise is designed as an add-on to a longer holiday in The Gambia and pricing does not include flights - additional nights can be added at any of our resort hotels. Due to the nature of the itinerary, this cruise is only allowed for children aged 7 and over. 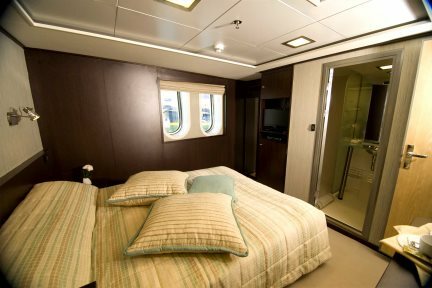 A contemporary double-bedded cabin with windows, located on the main deck. 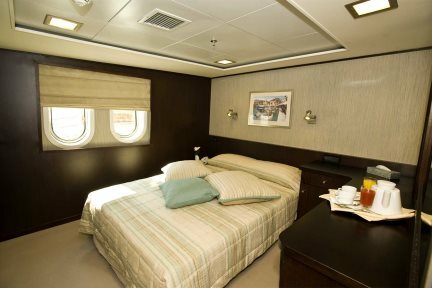 A contemporary double or twin-bedded cabin with windows, located on the main deck. A contemporary double or twin-bedded cabin with windows, located on the upper deck. A third adult or child aged 7 years or above can be accommodated in this cabin. A contemporary double or twin-bedded cabin with windows, located on the upper deck. Banjul is one of the smallest capitals in Africa and given it is located on an island, St Mary’s Island - a sandbank at the south of the River Gambia, there is little room for expansion. It is a strange mixture of colonial buildings, shanty buildings and modern offices and is the main administrative centre for the country. Bathurst (as Banjul was originally called) was founded in the early 19th century by the British Army and Royal Navy as a military base to prevent the continuation of the slave trade along the River Gambia. The name was changed to Banjul shortly after The Gambia received its independence from Britain in 1965. Banjul is relatively easy to navigate as the roads are laid out in a grid. The main heart of the city is 22 July Square and Albert Market where you can buy anything from spices to shoes. This is where most local residents do their daily shopping, whilst the small tourist and craft market behind offers a good selection of local crafts and some more unusual pieces from neighbouring countries such as Mali and Guinea Bissau. Although Banjul has little specifically aimed at tourists, it is an interesting place and a hive of activity with plenty of hustle and bustle. Banjul Museum, situated in the centre of Banjul, has many items of interest relating to tribal traditions, music, agriculture and the British Colonial years, right up to the present day.